Austin Mayor Steve Adler introduces South Bend, Ind., Mayor Pete Buttigieg during the kickoff of his presidential campaign Sunday. Two Austin politicians endorsed a Democratic presidential candidate over the weekend – but it wasn't either of the candidates from Texas. Mayor Steve Adler introduced fellow mayor Pete Buttigieg on Sunday as he formally launched his campaign in South Bend, Ind. Just a few weeks ago, Adler introduced former Texas Congressman Beto O'Rourke at a rally in Austin. Adler told the crowd in South Bend that the White House would benefit from someone with city leadership experience. “Potholes are neither Republican nor Democrat; they just need to be filled," he said. "Politics in cities is the politics of everyday life. ... It is the stuff that hits home. That's why in cities, leadership matters." Adler said he’s known Buttigieg – a Rhodes Scholar and former Naval intelligence officer ­– for years and relied on him as a mentor when he was first elected Austin's mayor in 2014. "The person that stood out among all the mayors from all over the country, someone I choose to emulate and learn from was known to the mayors simply as 'Mayor Pete,'" Adler said. "I was looking for and I found in Mayor Pete a true executive. ... Mayor Pete is a mayor's mayor, he is a mayor among mayors." "Yes, America," he said, "Mayor Pete is really that special." When CNN correspondent Leyla Santiago asked O'Rourke how he felt about Adler endorsing Buttigieg, O'Rourke said Buttigieg would make a great president. "I'm a big fan of Mayor Buttigieg and Mayor Adler," he said, "and I'm glad that Mayor Pete is in the race." He told Santiago that Adler had reached out to him the night before to let him know he was endorsing Buttigieg and that he told Adler not to "sweat it." "For me, none of this is personal. 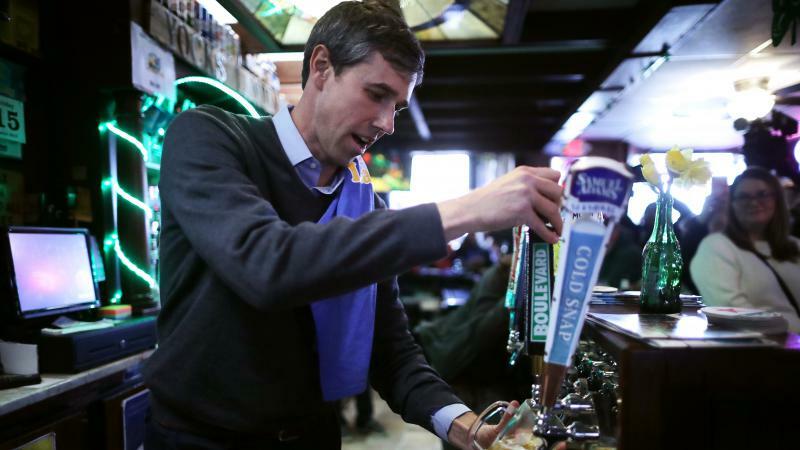 This is about the country," O'Rourke said. Austin’s District 6 Council Member Jimmy Flannigan, who also attended Buttigieg's campaign kickoff, said it was a historic moment for Buttigieg and the LGBTQ community. "To see a formal campaign announcement with all the pomp and circumstance and to have Chasten [Buttigieg's husband] come out and join him on the stage, I really choked up," Flannigan told KUT. "It was a real moment for me." Flannigan hosted an event for Buttigieg before he participated in a town hall in Austin last month. He also noted Buttigieg's experience running a city as a reason for his endorsement. 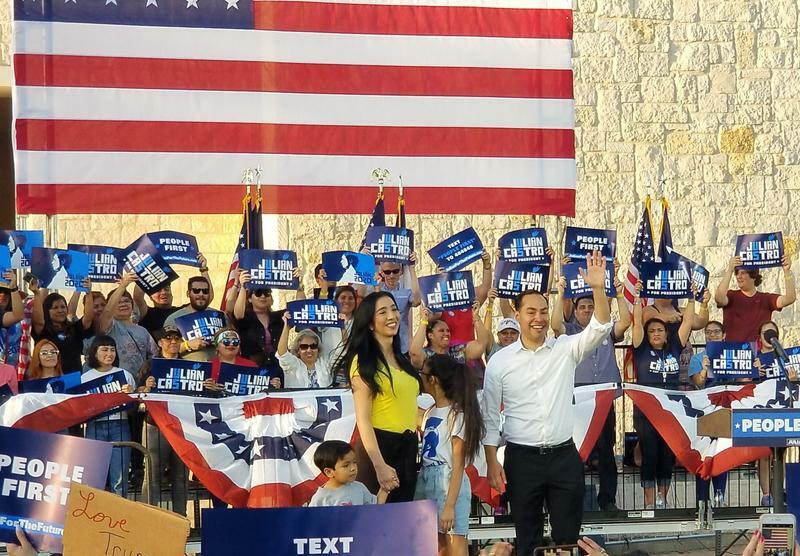 The 37-year-old Afghan war veteran is now among nearly 20 Democrats seeking the nomination – including Texans O’Rourke and Julian Castro. Both O'Rourke and Castro began their political careers as city council members, and Castro was mayor of San Antonio for five years. If elected, Buttigieg would be the youngest and first openly gay president in U.S. history. Congressman Beto O'Rourke (D-El Paso) says he's raised $38.1 million since July 1 for his effort to unseat incumbent Republican U.S. Senator Ted Cruz this November. Last week, Cruz said he raised $12 million in the same period, which was a record for a Republican candidate.